BBC America announced that Kevin Smith has signed on to write, direct, and executive produce a TV show based on the Sam and Twitch comic book series from Image Comics. This is probably bittersweet news for anyone who’s been waiting decades for that long-talked-about Spawn reboot, including Spawn himself. According to BBC America president Sarah Barnett, Smith is “beyond himself excited” about the show, which is based on characters first introduced in Spawn. 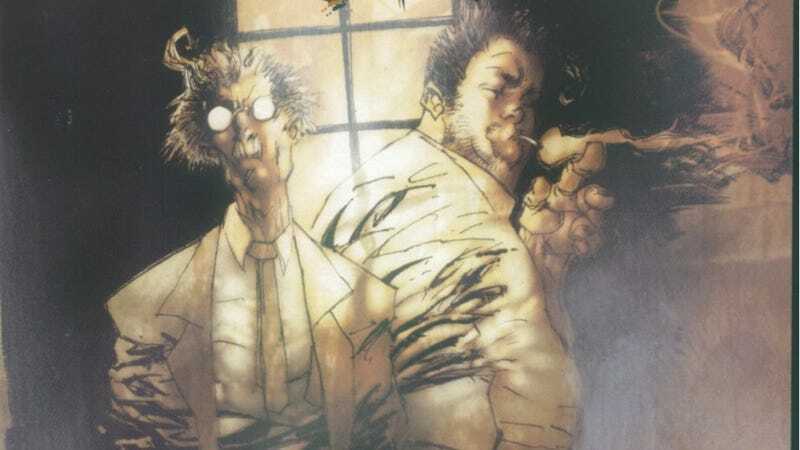 The duo was so popular they got their own title in 1999, which goes into how the homicide detectives work to solve occult-related crimes in a dark and violent version of New York City. Barnett said the show will have a crime-of-the-week format, although there will be character storylines that carry through the season. Sam and Twitch creator Todd McFarlane has said he was working on developing a TV show based on the series back in 2010, but it’s not clear whether he’s involved in this project; we’ve reached out to him for clarification. No word when the show will go into production either, but we’ll update you as soon as we know.